There’s something about this particular time of the year that gets everyone in a jolly mood,mixed with retrospective thoughts of the year and the urge to do something special for someone (or people, if you’re quite generous). We don’t exactly have presents wrapped in a bow, instead here’s something that cost nothing but means a lot. Remember, our year doesn’t officially end until we’ve shared our yearly favourites. So while you bond with friends and family over lots of food and drinks, join us as we dish out our 14 favourite things of 2014… and it just so happens that not all of them are objects. Clearer than crystal, we remember the first day we spotted Ndidi Emefiele’s work on Channels TV, its been an endless love affair since then. Our favorite Ndidi piece is one which shows, through a broken lens, a woman who appears just as battered. It’s not something you spot at first glance, but that’s the thing with art, sometimes you need to look deeper than the surface. This is the second adult novel by the exceptionally talented, Dr Nnedi O. Following her excellent Who Fears Death; a firm favourite of ours, this book certainly didn’t disappoint. Lagoon, a sci-fi book set in Lagos during an alien invasion is as typical as it gets. Blending Nnedi ‘s excellent gift for riveting storytelling with her ability to seamlessly weave African mythology and fantasy with contemporary science fiction themes, the result is the page-turner that is Lagoon. Spoiler Alert :It’s laced with heavy subs that make things pretty interesting. A luxury t-shirt brand that launched just over two years ago, Caven Etomi is the brainchild of two sisters and a friend. The line takes inspiration from all things African, with a focus on Nigerian tribal culture and heritage. Their collections infuse traditional themes like the Nsibidi hieroglyphs of the ancient Igbo with an urban design, representing the identity of the modern Nigerian youth. We love it! Ituen Basi’s collection for her diffusion line ‘Ituen’ is as delightful as they come. We were front row at #lfdw14 where this collection was showcased and we haven’t stopped talking about it since. Ever a pioneer in her field, Ituen Basi’s collection paid homage to our beloved city, Lagos by highlighting the modes of transport available with Danfo, keke, molue, yellow taxis and okada prints creatively placed. It also featured a nod to girl power with the “Girls United” motif (yes, we do run the world), flats(which we love) and the best accessories, smiles on the faces of the models. Thank you, Ituen Basi for a great show and an awesome collection! 2012 saw the birth of a designer whose clothing line was to be a celebration and retrospective of truly homegrown African textile reinvented in modern ways. Amaka osakwe’s collections so far have been meticulously crafted, detailed and designed using age-old methods like hand stitching and hand painting. 1. She understands that africa has a vast array of fabrics that’s locally sourced, so instead of using the general dutch wax fabric (Ankara) which the whole world associates with African fashion, she opts for original traditionally manufactured fabrics with the aim of keeping her heritage alive. 2. Maki Oh certainly is a brand driven by a vision, with a team dedicated to bringing that vision to light. The consistency and quality of each collection is beyond admirable. Amaka Osakwe has stuck to her guns and it’s definitely paying off. When you have the First Lady of The United States of America, Michelle Obama wearing your designs and inviting you to the White House, you know you’re getting it right. It seems as though Twenty Six Skirt came to take over our wardrobes. Circle skirts in gorgeous prints and colours made a timely appearance and are fast becoming highly coveted. We’ve purchased quarter of a dozen already and are considering adding a few more. Everyone would tell you they spotted a lovely wrapped package on Cassie Daves’ instagram and that’s how they got to know of Twenty Six Skirt, our story isn’t any different. So, thank you Cassie! And still in gratitude, let’s state that we owe our best skirts of 2014 to Twenty Six Skirt. One symbolic element of fashion week is street style. Think New York, Paris and London. As regular people who love style, we are much more interested and garner so much inspiration from the people who walk the streets, mostly because the outfits are somewhat relatable, wearable and unlike what we see on the runway. 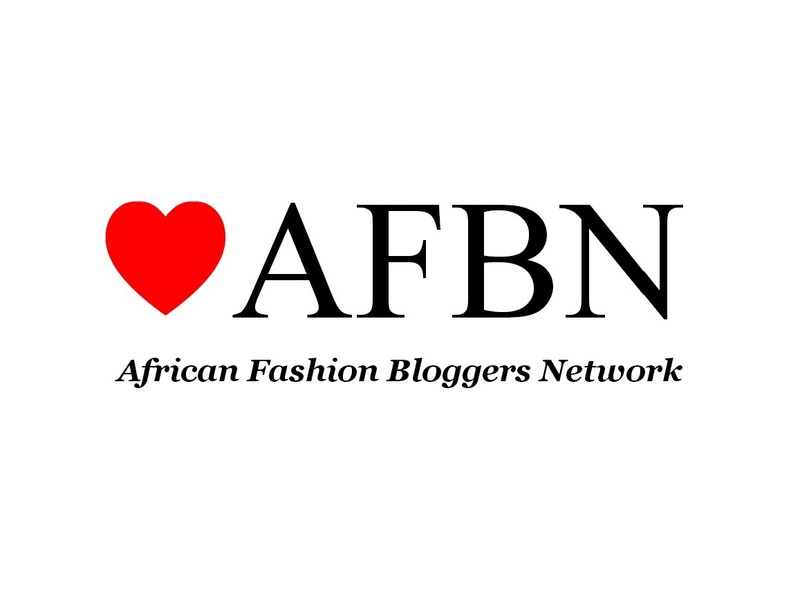 So when we found this instagram account that opened during Lagos Fashion And Design Week 2014, our hearts made a quick spin. Lagos Street Style presently features real street style photos of people in Lagos. If there’s one thing Andrea Iyamah is good at (asides making drop-dead-gorgeous swimsuits obviously), its creating a killer lookbook. We were just looking through her 2014 swimwear lookbook and thinking ‘damn, she knows just how to nail it!‘, which makes us wonder what she’s cooking up for 2015…guess we’ll have to wait and see. HOAYS is the best Nigerian effort for film in a long time. The production quality is excellent. Biyi Bandele did an excellent job as director. From the hair and makeup to the costumes and set design, everything was spot on. Very believable and authentic, with great graphics. We love Anika Noni Rose’s portrayal of Kainene, the super-stylish, sophisticated twin of Olanna. We’re coveting her sixties glam wardrobe. Yagazie Emezi literally made the jump from our screens and into our real lives, starting out as a blogger and YouTube vlogger with her hilarious videos that touched on sensitive subjects that are typically taboo, to evolving into a cultural curator who seeks to preserve African cultural identity and integrity, by giving African creative a platform to showcase their stories on her website. Various photographers have featured, showing various sides of real Africans everywhere. Yagazie also recently started the Yagazie Lunch Series, which is intended to be a safe, fun space for women to discuss topics that are typically taboo in our society such as sexuality, body image, eating disorders and many more. Most times a photograph tells a story, other times it gives insight to a particular subject, and sometimes, it does both. Half full-half empty is a twin photograph featured at Toyosi’s exhibition ‘Induction‘ earlier this year which reminded us of an unsolved brain teaser which asks if the glass is half full or half empty. Looks like we finally have an answer. We discovered the Jazzhole earlier this year, but only got the chance to pay a visit recently. The Jazzhole features a vast library of records from the 60’s, an array of books on various topics, a coffe/tea shop and a serene space that fosters creativity. We have to say, making up isn’t really our thing. Not like we’re advocates for natural beauty or anything, it’s just that we’re not so good at it. However, there’s one that comes in variety and makes up for all the other complicated array of makeup items we don’t own. Zaron lip pencils, serving us well since ’11, with Stallion, Red Vines and Capuccino as our all time bests. The trick is, you never have to touch-up (except its an old habit), because even when we eat a lot, our lip color stays intact all day. These were really conversation starters, especially at fashion week “omg, I love your hat.” was a compliment we got often. So remember when we mentioned wide brim hats as a wardrobe necessity?, turns out we hit the nail on the head. We know, we know, it’s really not your typical christmas present, but we hope this compliments your day in some type of way. Happy holidays! Btw, don’t forget to say hello to us on Instagram and Twitter. Salut! A conversation on the most interesting, creative works and stories from all around Africa and the diaspora. Discover, share and engage. Fantastic Post! Better than any gift I could have asked for. It’s amazing How most of your favourite things this year are the very things I found and fell in love with this year. I feel like I’ve found a brand soul-mate in Black fabulousity. I share a deep love for yagazie, Lagos street style, 26, Caven Etomi good lord..and virtually everyone/thing else You’ve listed..the brand Tzar, Stranger Lagos and LoveFola the artist are a few others that would make my list this year. Thank you for the Soul food this holiday morning. I do Hope you check out my blog http://www.soulorangevintage.blogspot.com and follow us back on instagram @Soulorangevintage, Maybe we can share our toys sometime. Happy holidays. Your website is amazing. Please the address for the JAZZHOLE ? I love books.